Available in four (4) color-coded hardnesses. Self-lubricating formula to prevent squeaking. Price is for a single matched pair of one (1) bottom and one (1) top bushing – enough for one (1) truck. Beyond barrel vs. cone: Aeon bushings have a wide hexagonal shape and tapering sides, for a smooth, intuitive resistance profile through a larger steering range. Tall but not too tall, for deep turns with no dive. Custom contouring creates mechanical lock between boardside bushing and baseplate – no washer needed. Aeon bushings pair to form a cylindrical hollow that locks around barrel-shaped hanger elements – a true bearing with no added parts. This patented design forces the hanger to rotate inside the tubular channel in perfect alignment with the pivot axis. Eliminates slop, aligns and stabilizes geometry without the downsides of support pins, spherical bearing inserts, or hanger plugs. Quick response from center and noticeably smoother, cleaner turns – even at deep lean angles that destabilize the steering of ordinary RKP trucks. Seismic axles (both G5 and Aeon) are manufactured to be 7.95mm in diameter, with a small negative-only tolerance. Racing truck makers who advertise “true 8.0mm axles” generally follow a similar specification. Average brands use 5/16-inch (7.9375mm) axles. The inner race of standard wheel bearings has a diameter of 8.0mm, with a small manufacturing tolerance. Truck axles need to have a diameter slightly smaller than that, or else some bearings may not fit or even get stuck. 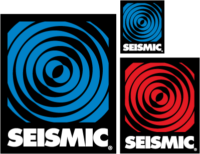 Seismic trucks (both G5 and Aeon) support both “Old School” and “New School” mounting hole patterns. In the case of the G5, this was a significant engineering challenge given the truck’s unique structure. The Old School mounting hole pattern has holes that are 2.50″ (63.5mm) center-to-center longways. In the New School hole pattern, that distance is only 53.5mm (2.11″). Both patterns have holes that are 1.625″ center-to-center sideways. Seismic G5 baseplates require full surface support, so they should not be top-mounted on decks with drop-through mounting holes unless stiff riser blocks are placed between the trucks and the deck. Because of their unique baseplate structure, G5 trucks will not fit through standard drop-through mounting holes, either. G5 trucks should also not be mounted on top of rubber or urethane shock pads. These amplify stresses on the baseplates, especially if the mounting bolts are over-tightened or tightened unevenly. Then relatively minor impacts can push the baseplates past their breaking point. To re-assemble a G5 truck: Place the board or truck upside-down, on the floor or a low workbench. Always make sure to fully loosen the spring tension screws. Otherwise much more pressure is needed to align the hanger and baseplate for insertion of the pivot bolt. Set the springs in the baseplate with the sliding “piston” caps facing up. Place the hanger on top, with the spring adjuster tips inside the piston cap sockets. Press the hanger down and hold it in place (using your bodyweight if necessary), to align the parts and keep spring pressure off the pivot bolt. Then use a 7/32″ Allen wrench to press the bolt through the truck and screw it into the baseplate nut. Fasten firmly, but don’t over-tighten. Sometimes a small downward push with the wrench helps the bolt tip catch the threads of the nut. Always re-attach the bolt clip after re-assembling a G5 truck. Replace the clip if it becomes bent. If the pivot bolt unscrews only partway during disassembly and then gets stuck, the nut is probably stripped. To get the pivot bolt out of a stripped nut, first place the truck in a vice (if possible). Pound the head of the bolt back into the truck. This will force the stripped nut out of its pocket in the baseplate. Then slide a small flathead screwdriver (preferably #3) between the nut and its pocket, or grasp the nut with a strong pliers. This increases tension between the pivot bolt and the nut, and it usually helps the bolt cut through the nut’s stripped threads. After unscrewing the bolt, reassemble using a fresh bolt and nut. Seismic G5 Spring Trucks were engineered as a high-precision product, with virtually no slop in their steering articulation. So like a race car, they don’t dampen road vibrations much and may seem noisy compared to lower-precision trucks that use bushings. Some skaters are more sensitive to that than others. Actual rattling noises can occur for a variety of reasons, regardless of the trucks you’re using. The most common cause is riding on rough surfaces with loose hardware, no shock pads under the trucks, and/or wheels that are too hard for the surface. In addition, bearing spacers can rattle between the bearings or against the axles if they’re the wrong size, or if the wheel core tolerances are off. 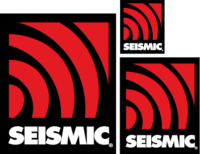 The Seismic G5 technology itself was carefully engineered to eliminate squeaking, clicking and rattling, but a few seldom-seen issues can lead to these or other noises. Most squeaking and clicking stems from friction between the small inner springs, the main outer springs, and the long-necked “sliding” spring caps. To reduce or eliminate the noise, try rotating the spring assemblies a quarter or half turn inside the spring chambers. (Loosen the tension screws first, then just turn the springs with your fingers.) After that, tighten the tension screws at least 1.5 turns. For added measure, drop a bit of silicone or graphite lubricant inside the long spring caps. Finally, spring tension screws that are fully loosened may occasionally rattle inside the Seismic truck hangers, though ordinarily spring pressure keeps them quite still. Try tightening them 1.5 turns. This puts them in a “neutral” position where they function as intended. The trucks won’t feel stiffer when riding, but pressure from the springs will keep the screws from rattling. The steering geometry of the Seismic G5 Spring Truck is absolutely fixed and perfectly consistent – either 30-degrees (Stable-Turn) or 45-degrees (Quick-Turn). The steering geometry of the Seismic Aeon Truck is also very consistent, especially for an RKP design. So wedged (angled) risers have a totally direct and predictable effect on their performance. To quicken steering response, orient the wedge with the thin end facing the end of the deck. Usually called “wedging,” this is most commonly done with the front truck. Just remember this reduces your leverage on the G5 springs or Aeon bushings, so you might want to loosen them or even switch to softer ones. To slow steering response, orient the wedge with the thick end facing the end of the deck. Usually called “de-wedging,” this is most commonly done with the rear truck, especially on racing boards. Just remember this increases your leverage on the G5 springs or Aeon bushings, so you might want to tighten them or even switch to stiffer ones. Optimal truck mounting depends on many different variables – wheelbase, riding speed, skating style, personal preference and even body height. You’ll need to experiment to see what works best for you.